Special miter box securely holds stock in position for accurate cutting. 3 cam-action clamp pins install in holes in plastic base...you just twist them to lock stock in place. Holds stock up to 1/2 inch thick by 2 inches wide. 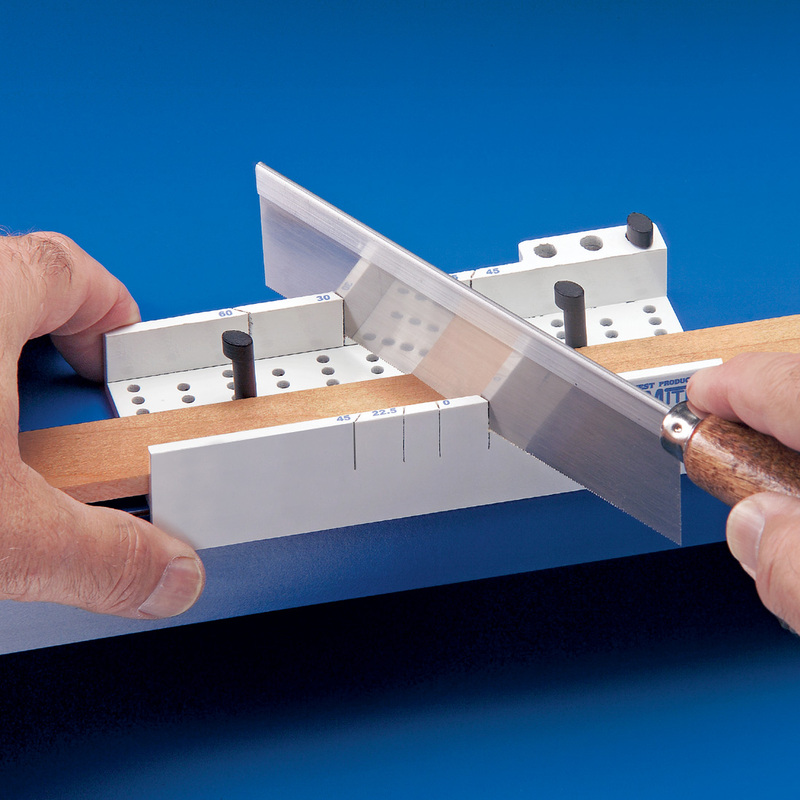 Use extra wide lip on front of miter box to position against edge of workbench, or hold in vise for extra security. Includes Zona® brand razor saw with fine-pitched 32 tpi blade and 5 slots for cutting at 30, 45, 60, 67.5 and 90 degrees.